You may order extra fabric along with your dresses in order to make a shawl, to add sleeves, to widen the strips, or to resize the dress. Please find the material of your dress in the product names. 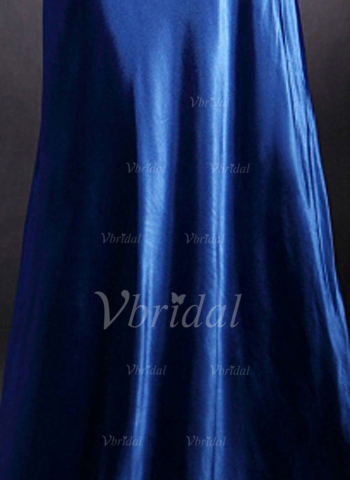 For an example, if a dress is named as "Empire Strapless Floor-Length Chiffon Bridesmaid Dress with Ruffle", then the dress is made in Chiffon. You may select the material and color in the drop down list.